BUY TICKETS HERE! NOW! DO IT! PLZ! I was recently asked to perform in iO West’s first ever Funny Women Festival. And this is what I came up with. If you live in LA and are free this coming Thursday, it’d mean a lot if you came to this. I’m going to be honest and say, I really don’t know how it’s going to go. It’s definitely an experiment, and I have a whole thirty minutes. I’m 100% totally nervous, and 100% like “whatever it’s chill, this is what I was born to do” so, I’m 200% invested obviously. The setup is that it’s a mix of storytelling comedy with two wine tastings, one with a special guest. We’ll end the show with a quick Q&A in which you can ask me about wine tasting or whatever. I really hope you can make it. Or if you can’t make it, it’d mean a lot to me if you could share this information with your friends either on or off social media platforms like Twitter. Thank you so much for your time over the years. I wouldn’t have the opportunity to try stuff like this if it wasn’t for the fact you guys support me. I really am thankful for you guys, and I probably should have told you on Thanksgiving, but I mean, whatever, I’m always thankful for you guys. Not just any one day. 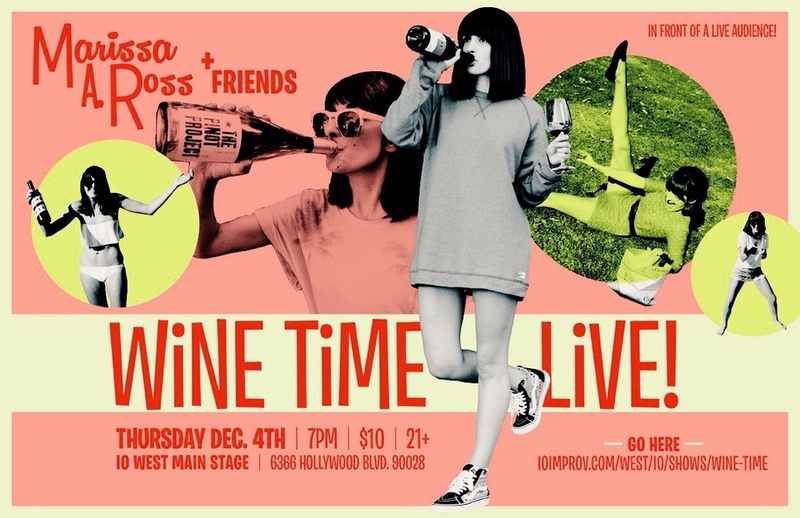 Posted on November 29, 2014 by Marissa A. Ross and tagged shows wine time live.